I was so wasted last night after returning from a night at the fair that I knew any kind of post was going to be poorly done. So, here I am! 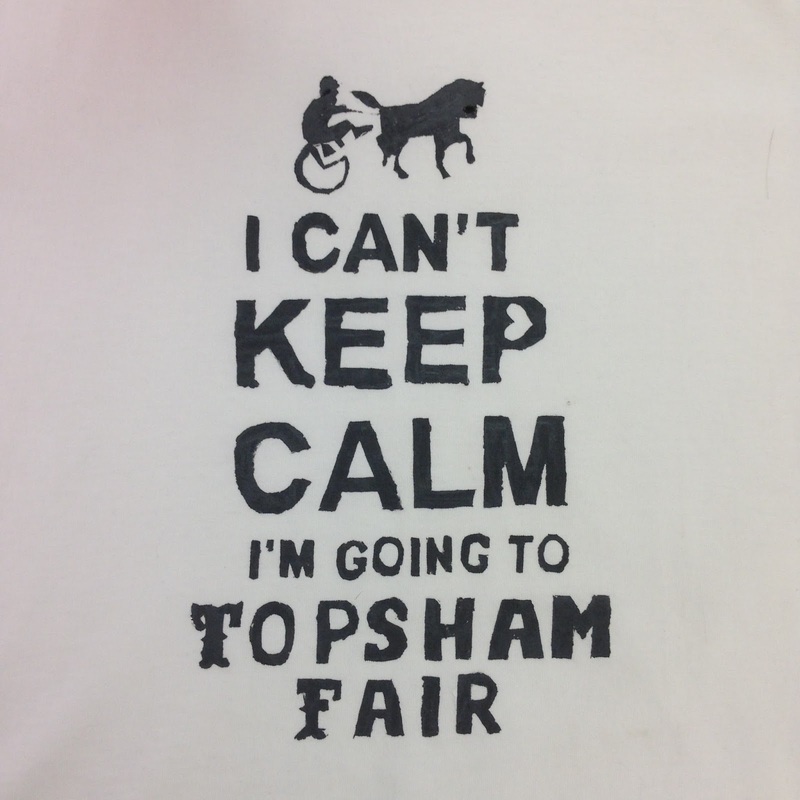 This week marks the 161st Topsham Fair here in Maine, in the town of Topsham about 20 minutes away from our home. I love the fair. The animals, the machinery, the people, the FRIED DOUGH. I don't really love carnival rides, and neither does my nephew, so it works out pretty well that my son and my sister can do that part together while my nephew and I hang out and people-watch. Last night was the first time ever that this fair hosted a monster truck show and I think I was just as excited as the kids! It was also the night for 8-year old "Mutton Busting", a hilarious spectacle of little kids riding (mostly) sheep. While I enjoy the fair as a fair-goer, I also am privileged to have the responsibility of judging the quilts that are entered into the Fair Exhibition. I have judged for several years and enjoy seeing the entries and choosing the winners. 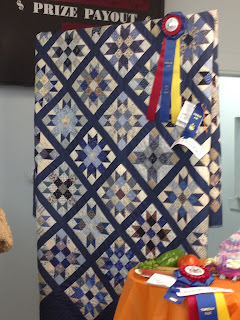 Judging, whether at the county fair or a national quilt show, is a very touchy subject. I am not a certified judge, other than owning a quilt shop and being considered the local "expert". 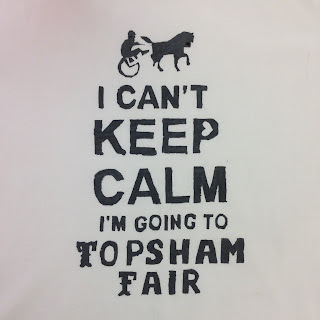 Only at a fair can you get away with that! The fair takes the exhibition very seriously and has a complete system in place for receiving, tagging, displaying and judging each entered item. The quilts specifically have categories, but there are no particular criteria used for the judging. It's all up to me. The fair folks usually have the quilts all separated out by category, so I work on one pile at a time and can choose a first, second and third place ribbon. Of all the firsts, I choose a Best of Show. I try to keep in mind that I'm not a certified judge and that while this show does offer cash prizes it's not offering any national notoriety or big money. Its a local fair and folks enter the things they're proud of. I use basic quilting criteria as my guide. Do the points match up? If it's hand quilted, are the stitches even? If it's machine quilted, is the tension good? Is the overall quilt appealing - regardless of whether or not I like the colors or subject matter? Does it appear that the entrant put their best effort forward? In some cases there is only one entry in a category, but I don't automatically give it the blue ribbon if it seems like something about it could have been better. If I get down to a few contenders, I can always rely on my good friend, who judges the crafts, to help me talk through it. This quilt was in the bed-sized, hand quilted category. I looked at points, matching seams, binding and the quilting. 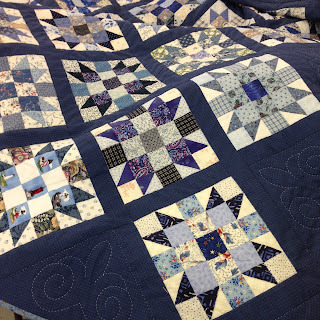 While I would have liked more quilting in the blue sashing, the quilting she did have was even, added to the overall design of the quilt and was well distributed. 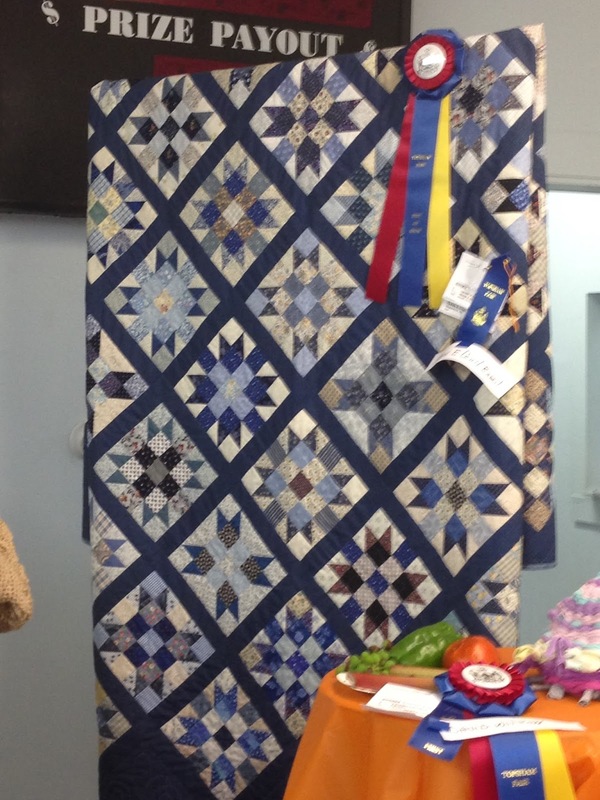 This quilt earned the blue ribbon in that particular category. One of the biggest obstacles for me as a fair judge is the fact that the fair entry rules require that entries be completed 100% by the entrant. In the world of quilting with longarm machines, and lots of people owning their own, it's not possible to know if a quilt was done 100% by the entrant. I have been peeved more than once to have awarded a ribbon, turned over the tag to reveal the entrant's name and know that the person didn't actually quilt the quilt themselves. At the end of the day, I choose the Best of Show. All the Best of Show items, from each category, are displayed together on the winner's podium. This display includes all manner of entries from quilts, eggs, kid's drawings, knitting and crocheting, vegetables, jams and jellies, wood carvings, photographs, breads and more. 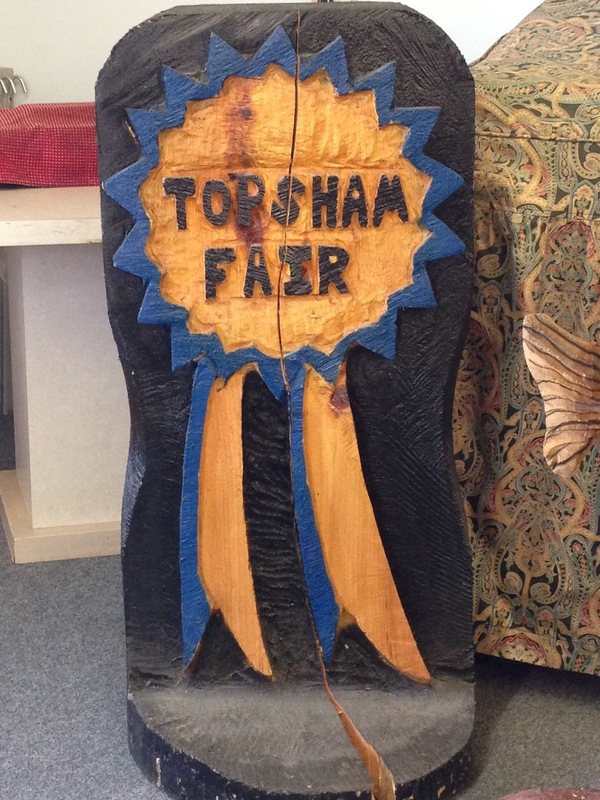 If you're lucky enough to live in an area with a country fair, take the time to visit the exhibition hall. Sit the kids down with their cotton candy, hot dogs and noisy game winnings and give yourself a few minutes to step back in time. You'll be glad you did.